From a blog started by Pete Cashmore in 2005 to an internationally acclaimed media site with more than 43 million monthly uniques, including a new Singapore-based office, Mashable has come a long way. Speaking at the Digital Publishing Innovation Summit in New York last week,by Mike Kriak, chief operating officer and chief financial officer at Mashable, explained how the outlet is aiming to "redefine storytelling for the digital era". While Mashable may have made a name for itself covering digital culture and trends, Kriak noted that having a "specific editorial voice" was key to success for any publisher. 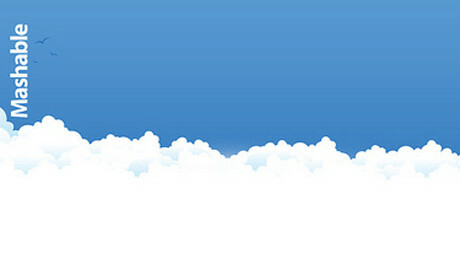 Mashable's voice, he added, aims to be "credible" as well as "positive, inclusive [and] engaging". Rather than attempting to be shocking or going after viral stories, Kriak said, this voice is in line with the millennial audience that Mashable seeks to attract. Millenials, and "those who think like them", make up two-thirds of Mashable's overall visitors, said Kriak. "We take the view that millennials have," he explained, "not afraid to have voice, very pro women's rights, very pro gender, very pro gay rights, not to the point that it's political in any way but more that it reflects the tone and voice of what's really happening with millennials today". For publishers to continue to stay relevant and attract new audiences it is essential to innovate and keep up to date with new technology. One example of how Mashable achieves this is through Velocity, an in-house algorithmic "listening" tool, which helps to determine the sort of stories produced by the editorial team. Velocity's algorithms, continually redefined by Mashable data scientists, crawl the social web – over 100 million URLS every day – to "predict" which stories will go viral. The aim is for Mashable's writers to beat rival publishers in getting to these stories first, capturing the high volumes of traffic that are likely to follow. "If you're writing a story about something that's already gone viral, then you're missing the game," said Kriak. With the excess of stories that are published online every hour of every day, Velocity helps Mashable to "find those digital needles in the haystack that is the internet," he added. 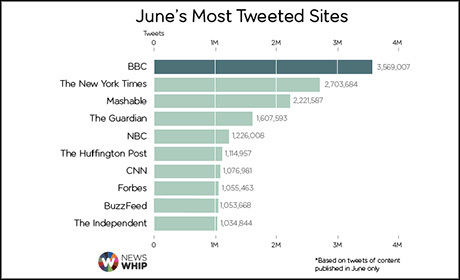 Pointing to the most recent Newswhip Biggest Twitter Publishers of June 2015 report, Kriak noted that Mashable comes in third place behind The New York Times and BBC. However, Mashable's 2.2 million tweets are achieved with "about 2,000 stories" he said, with 80 to 90 articles being published every day – far less than the output of the BBC and NYT. Mashable's highly shareable content would be difficult to identify and produce efficiently without Velocity's technology, he said. From Vine to Instagram to Snapchat, Kriak highlighted the importance of telling stories "in the formats and voice that your audience wants to hear". As well as enabling Mashable's writers to identify key stories, Velocity also helps them to determine which stories are best suited to different social platforms. "We actually feed our stories into Velocity after we write them, to predict which ones will go most viral across these social networks," explained Kriak. Away from social, a large focus for Mashable over the next year, like many other publishers, is video. However, Kriak noted that video can take multiple forms, and for publishers to do it well it is important to understand how each works. Mashable's news videos, for example, aim to offer a commentary on topical events, albeit with its own spin, such as this recent 'broadcast' from John Oliver and Cookie Monster. Meanwhile, Mashable Collective specifically targets social audiences with original content designed to be native to social, such as this stop-motion lego visualisation of UK parliament. Lastly, Mashable Studios is where the company works with brands to produce native advertising which, while different from its news or social videos, are "very different from commercials," said Kriak. The goal, he explained, is to ensure Mashable is "redefining storytelling, and making sure its across the platforms that our audience wants". What can legacy publishers learn from digital pure players? What's next for publishers on Snapchat Discover?